Pure Planet Poultry Spray 22 fl. oz. 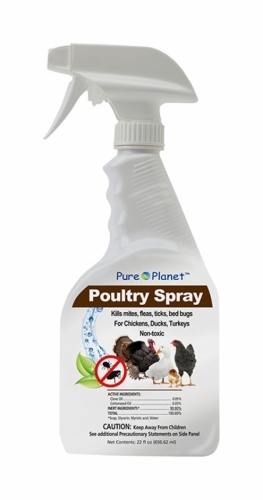 Pure Planet Poultry Spray is a non-toxic control for mites, fleas, ticks, and bedbugs. For use on chickens, ducks, and turkeys.